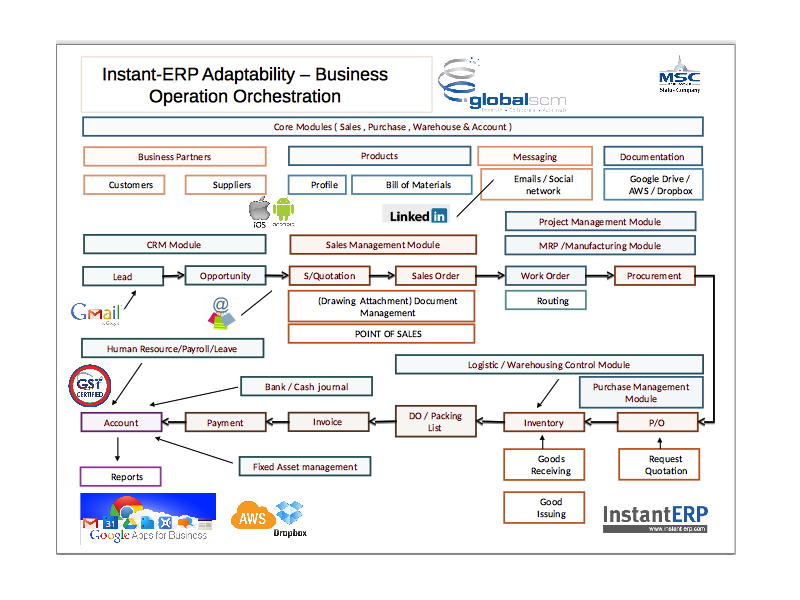 This is a diagram that i used to describe instant-ERP , a localized Malaysia Odoo ,previously OpenERP and it basically is saying that , Odoo can do all kind of things and for what Odoo do not have , as a local partner we can help you to integrate and customize into your scope , but this instant-erp platform is actually mobile friendly , google integrated, in fact AWS S3 integrated for documentation , linkedin , potential of integration with e-commerce platform , can adopt into various industries . Do u have any more idea of what Odoo can do ... and how we can squeeze everything in one diagram !! !